전라북도 익산에 있는 무덤으로, 남북으로 2기의 무덤이 나란히 자리잡고 있어 쌍릉이라고 부른다. 무덤 안의 구조는 백제 후기 굴식돌방무덤(횡혈식석실묘)이며, 무덤의 봉분과 돌방의 크기가 큰 북쪽의 것을 대왕묘라 하고, 남쪽의 작은 것을 소왕묘라고 부른다. 크기는 약간 차이가 있지만 2기 모두 원형의 봉토무덤으로 흙을 높이 쌓아 만든 봉분 이외에 별다른 장식이 없다. 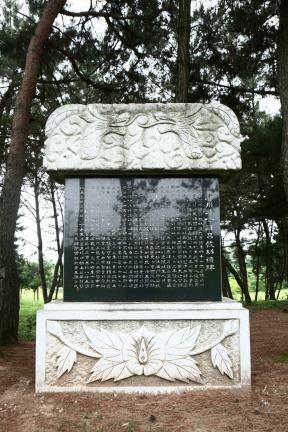 1916년 조사할 당시 무덤은 이미 도굴이 되어 유물이 남아 있지 않았다. 다행히 대왕묘 안에서 나무로 만든 관이 일부 발견되어 원래의 모습대로 복원 할 수 있었다. 그 결과 나무관은 바닥면보다 위쪽 면이 약간 넓고, 뚜껑의 윗면이 둥근 모양을 하고 있었던 것으로 밝혀졌다. 또한 관고리에는 8쪽의 꽃잎을 가진 연꽃무늬가 있었던 것도 확인되었다. 유물과 현실의 구조 및 형식이 부여 능산리 고분과 비슷하여 백제 후기의 것이 틀림없으며, 근처에 미륵사가 있어서 미륵사를 처음 만든 백제의 무왕과 그 왕비인 선화공주의 무덤일 것으로 짐작되고 있으나 뚜렷한 증거는 없다. 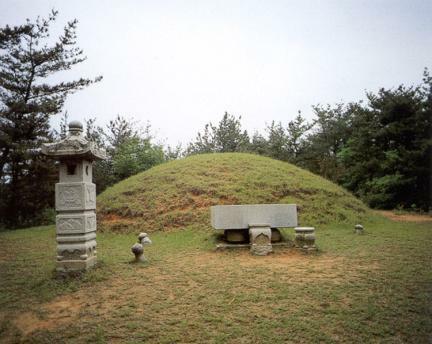 Since these are the ancient tombs of the Baekje and are placed side by side from south to north, they are called “twin tombs.” The inner structure of the tomb is shaped like a horizontal digging stone chamber tomb. 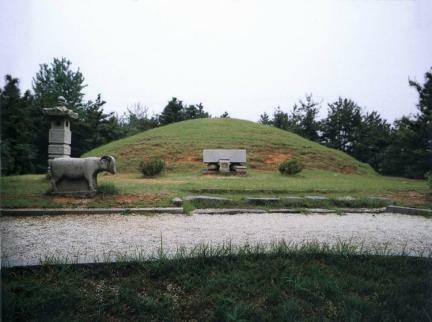 Judging from the mound of the tomb, which is like a hill, and the size of the stone room where the corpse was put, the northern large tomb is called “large royal tomb,” and the southern small tomb, is called “small royal tomb.” There is small difference in size, but they are all dome-shaped grave mounds and with no decoration. 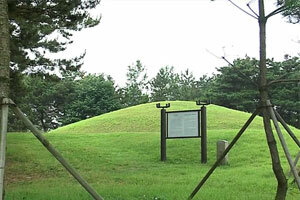 They were excavated in 1916, however, illegal excavation was commited, so no relics remained. 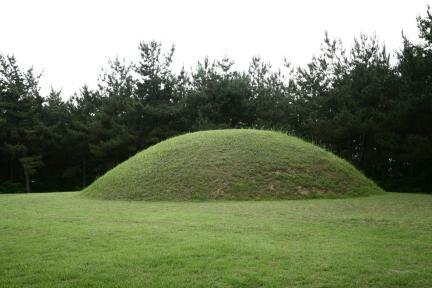 Luckily, the rotten coffin was found in a large royal tomb, so it was restored to its original form. 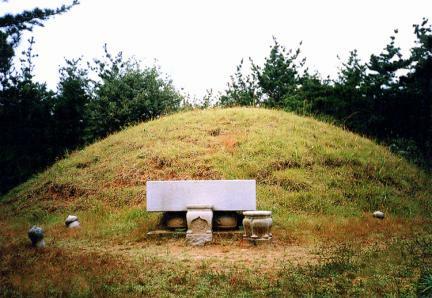 The following result revealed that the upper face of the wooden coffin is a little wider than the lower face, that the cover of the upper surface is shaped like an arch. The ring to catch the coffin has a lotus design with eight leaves inscribed is also ascertained. 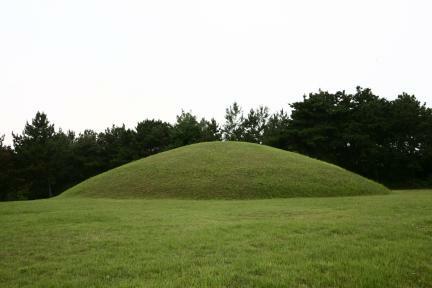 There are no excavated relics; based on the inner structure, however, it seemed to have been made in the late Baekje Era. 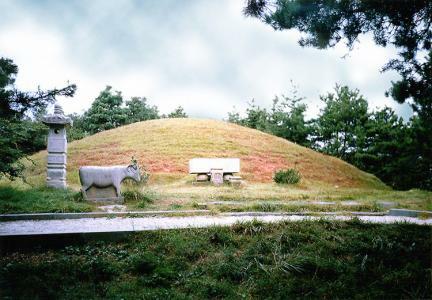 As Since Mireuksa Temple is located nearby, those are considered to be the tombs of King Mu who first founded the Mireuksa Temple and his wife Princess Seonhwa princess who was the wife of King Mu.